Below are the responses to a few of the questions that we were unable to get during the webinar. Our presenters have graciously provided their responses. Q: When you have a client with a history of substance abuse, mental health issues and domestic violence, how do you prioritize and stage treatment delivery within AFSA time frames? Julie DeFranco – When presented with multiple complex treatments needs we prioritize safety as the premier objective and utilize safety planning/restraining orders as needed. We attend to the remaining treatment needs concurrently in that we utilize evidenced based Family Strengths and Needs Assessment (Structured Decision Making tool) that allows us to conduct a comprehensive assessment of the domains of family functioning which guides our prioritization of treatment. Additionally, we recognize the challenge of establishing recovery before underlying reasons for use have been treated and addressed. Despite our efforts to prioritize and stage treatment, we recognize the ongoing challenge of the timelines for AOD recovery and ASFA reunification. Q: How do you encourage DV victims to break off their relationship with a partner who is not a positive factor in their life? We addressed a similar question. Does anyone want to provide a further response or anything else? Larry Bennett – It is not appropriate to “ encourage DV victims to break off their relationship with a partner.“ It is appropriate to help victims think about the positives and negatives in their lives. It is appropriate to help them weigh and evaluate alternatives that they themselves generate. It is appropriate to help them speculate on the positive and negative consequences of their decisions. But as soon as you start suggesting that victims do certain things based on your perception of harm, you have left the arena of ethical practice. 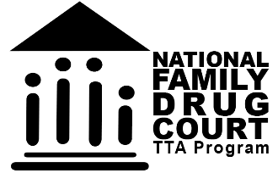 Q: What is the protocol if you have both the victim and batterer in drug court? Larry Bennett – It‘s hard for me to be as specific or prescriptive as you may wanthere, since I do not work in a court setting. However it seems logical to me that you should be able to proceed with the same interventions that you would normally use with perpetrators in drug court and with victims in drug court. In fact it should be easier since the victim of the perp in drug court and the perp of the victim in drug court are both known to you, so providing safety and accountability should be easier. Obviously you do not see them together, since that is a safety issue.The DV expert on your FDC team should be able to advise you with more case-specific details. Q: How is the DV incident substantiated without a police report so that counseling can be covered? Larry Bennett – The DV incident is substantiated when the victim or perp says there was a DV incident. A police report may support or challenge the details, but police reports rarely have the details anyway. Julie DeFranco – In instances where incidents of IPV/DV are not reported to law enforcement, but come to the attention of CWS through mandated reporting parties a referral investigation can be substantiated based on the preponderance of the evidence (more likely than not) obtained through comprehensive interviews with adults and children in the family, collateral contacts, prior child welfare history, criminal history patterns, and observations of injuries etc. Further, we rely upon research based safety and risk assessment tools to help organize information and support decision making. Additionally, our state victim witness compensation through the DA accepts substantiated CWS ability to open a claim which can provide the services to cover or assist in covering the cost of therapeutic services. Q: How do you handle providing services to clients who deny or minimize their victimization? Julie Borba – If the victim has a problem with substances, it is important to work on abstinence first. Education through literature or treatment groups is helpful in the victim deciding for themselves that a problem with DV or Subsance abuse/addiction may exist.Denia and minimizing is a way of protecting self. The victim need to come to the realization on their own. this is where patience is valuable. A look at what is the primary problem should give yo an idea of what needs to be adressed first; Substance use or DV. Julie DeFranco – We align the parent around the common interest of child safety and try to build collaborative safety interventions with both parents, but we do so a “trust but verify” approach in that we monitor safety plans until the parents insight is internalized.